The most compact of our three seismic platforms, the Shake Table I-40 can make a sizable impact, both in your lab and at outreach events. Its versatility is the reason why. The ST I-40 can be used as a portable, tabletop platform for simulating earthquakes and evaluating active mass damper performance. Students will find it a useful, hands-on tool to help them understand the dynamics of real-world structures. Outside the lab, the ST I-40 also doubles as a lightweight, traveling demonstration platform that can bring outreach programs to life and get children thinking about careers in engineering and science. 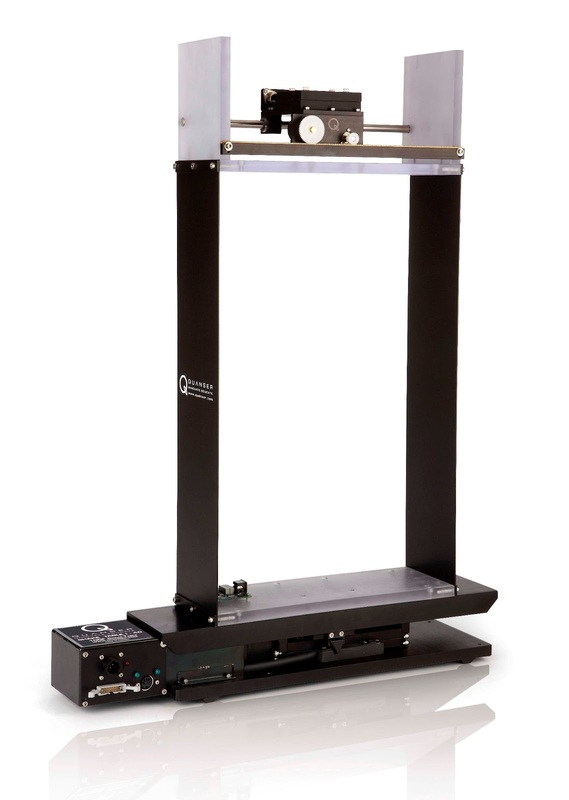 The Quanser Shake Table I-40 is a single-axis platform for simulating earthquakes and evaluating active mass damper performance. It is used in undergraduate labs and outreach programs. At 7.6 cm high, 57.5 cm long, 12.7 cm wide, and weighing just 5.9 kg, the ST I-40 is easy to set up, even in space-challenged labs. Powerful for its size, it can accelerate a load that weighs 1.5 kg up to 1.0 g. When the ST I-40 is connected to our One-Floor Active Mass Damper, students can perform structural engineering analysis or develop a controller that reduces the deflections of the building while the table is running an earthquake simulation. The Quanser one-floor Active Mass Damper can be connected to the ST I-40 to perform structural engineering analysis or develop a controller that reduces a building's deflections during an earthquake. At the University of Cincinnati’s School of Aerospace Systems, Professor Kelly Cohen has taken full advantage of the ST I-40’s versatility. He uses it to teach vibration control to his undergraduates. He has also integrated the ST I-40 within a remote lab setup that offsite students can use. Once they log on, they can tune different control parameters, view the measured response on the graphical interface and examine the results in real time via webcam. Professor Cohen can also view their data once it’s saved. Professor Cohen has put the ST I-40 to work in outreach programs as well, demonstrating earthquake simulations to elementary and high school students. We also have been bringing the ST I-40 to schools and science fairs for years, both on our own and working with science literacy groups such as Let’s Talk Science. The ST I-40 is an excellent outreach tool. 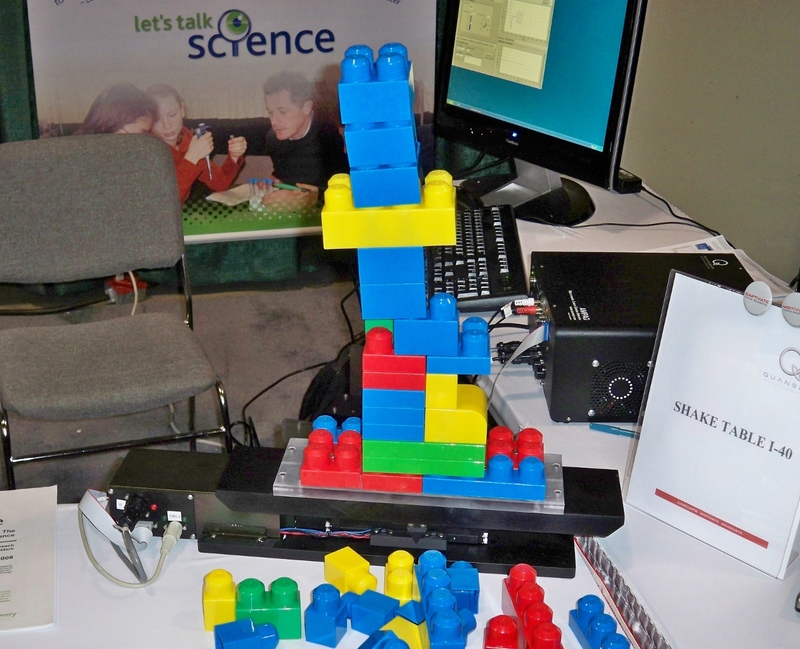 Here it is part of an interactive earthquake simulation presented to schoolchildren by Let's Talk Science. For professors and for students of all ages, the impact of the ST I-40 can be both far-reaching and real. This versatile and portable earthquake simulator can play a significant role in undergraduate engineering labs. The fact that it is also an exciting demonstration device that can encourage K-12 students to consider studying engineering and the sciences - well, that's just an added bonus.